By 2100, at least 10 cities are predicted to have population sover 50 million. How can society keep pace? The 1960 street map of Lagos, Nigeria, shows a small coastal city surrounded by a few semi-rural African villages. Paved roads quickly turn to dirt, and fields to forest. There are few buildings over six floors high and not many cars. It’s likely no one foresaw what would happen between 1960 and today. In just two generations Lagos grew 100-fold, from fewer than 200,000 people to nearly 20 million. Today it is one of the world’s largest cities, sprawling over nearly 1,000 square kilometers (400 square miles). Vastly wealthy in parts, it is largely chaotic and impoverished. 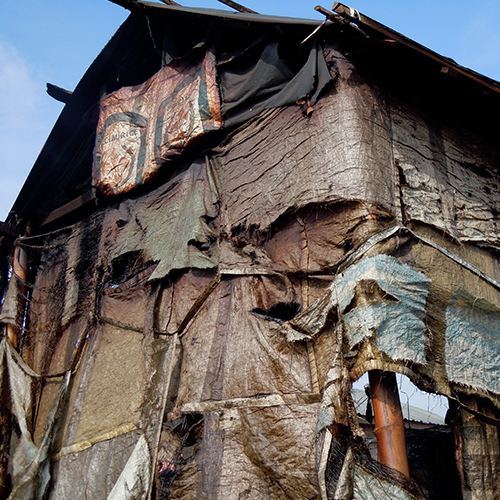 Most residents live in informal settlements, or slums. The great majority of them are not connected to piped water or sanitation. The city’s streets are choked with traffic, its air is full of fumes and it produces more than 10,000 metric tons (11,000 tons) of waste a day. But new research from Canadian academics, though replete with caveats, suggests that the changes Lagos has seen in the last 60 years may be nothing to what may take place in the next 60 years. If Nigeria’s population continues to grow and people move to cities at the same rate as they are moving today, Lagos could be the largest metropolis the world has ever known, home to up to 100 million people. By 2100 it is projected to have more people than California or Britain today, and to stretch hundreds of miles with enormous environmental effects. Hundreds of far smaller cities across Asia and Africa could also grow exponentially, say the Canadian demographers Daniel Hoornweg and Kevin Pope at the Ontario Institute of Technology. They suggest that Niamey, the barely known capital of Niger — a west African country with the highest birth rate in the world — could explode from a city of around 1 million people today to be the world’s seventh largest city with 56 million people in 2100. Sleepy Blantyre in southern Malawi could mushroom to the size of New York City today. Under the researchers’ extreme scenario, where fertility rates remain high and urbanization continues apace, within 35 years over 100 world cities will have populations larger than 5.5 million people. By 2100, say the authors, the world’s population centers will have shifted to Asia and Africa with only 14 of the 101 largest cities then in Europe or the Americas. Cities in the Global South are growing much faster than they did in industrialized countries 100 or more years ago for several reasons. Fewer children now die young. Migration from rural areas is speeding up because there’s less new farmland to be opened up. Many countries encourage urbanization to grow their economies. As a result, cities today are being challenged to keep pace with the largest wave of urban growth in history and the need to provide water, sanitation and power to all those people. It’s impossible to know how cities will grow, but the stark fact, according to the United Nations, is that humanity is young, fertile and increasingly urban. The median age of Nigeria is just 18, and of all Africa’s 54 countries is under 20. The fertility rate of the continent’s 500 million women is 4.4 births; meanwhile, 50 percent of India’s population is under age 25, and Latin America’s average age is just 29. Recent U.N. projections expect the world’s population to grow by 2.9 billion — nearly that of China and India today — in the next 33 years and possibly by a further 3 billion by the end of the century. By then, says the U.N., humanity is expected to have developed into an almost exclusively urban species with 80 to 90 percent of people living in urban areas. The Canadian researchers observe that urbanization can have environmental benefits in the form of economies of scale; that it is associated with better access to education and health care; and that it can boost the economy. But they also note that cities can become more vulnerable as they grow. And, says Robert Muggah, research director of the Igarapé Institute in Rio de Janeiro, a global think tank, urbanization can rapidly outpace society’s capacity to accommodate it. Whether the world’s major cities develop into endless, chaotic slums, with unbreathable air, uncontrolled emissions, and impoverished populations starved of food and water, or become truly sustainable depends on economies, technology and how they respond to population growth and environmental risk. While many economists argue that population growth is needed to create wealth and that urbanization reduces environmental impact, others fear cities are becoming ungovernable and too unwieldy to adapt fast enough to rising temperatures and sea levels, pollution, water shortages, and ill health of inhabitants. Will mega-cities be part of the problem — or the solution? What can they do to maximize the benefits of urbanization while minimizing the downsides? This look at seven cities on five continents, each at a different stage of development, can shed valuable light on what it might take to do it right. “This city was renowned for its trees, lakes and pleasant air only 25 years ago. Now it’s a dead city that has sacrificed its environment for some of the fastest economic growth seen anywhere in the world,” says T.V. Ramachandra, head of the Energy and Wetlands Research Group at the Indian Institute of Science. Ramachandra fears that what has happened to Bangalore will happen to all Indian cities. Satellite photos taken 15 years apart show how houses and businesses have replaced wetlands and other open spaces in Bangalore. Images created from Google Earth Historical Imagery. India, which is widely expected to be the most populous country in the world with over 1.5 billion people by 2050, is projected by government to see its urban population double to nearly 600 million in 30 years. Its megacities, like Mumbai and Delhi, are not expected to grow much more; instead, smaller cities are rapidly expanding. The environmental cost is huge. India’s air pollution is now as bad as China’s, with 1.1 million people dying prematurely in 2015 alone from poor air quality linked to the hyperdevelopment taking place in many cities. 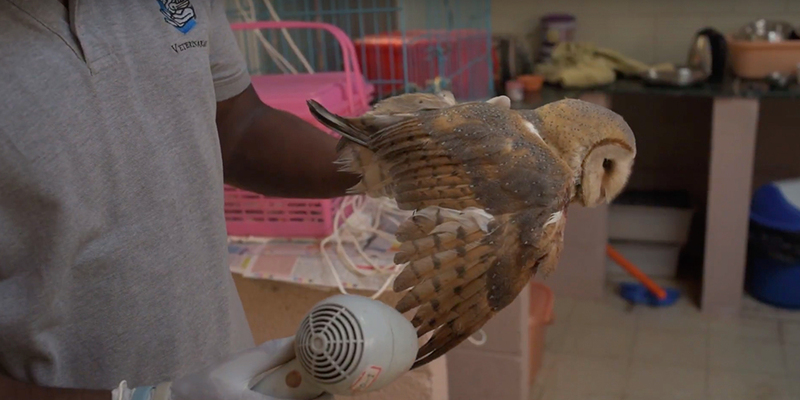 And the “frenzy of unplanned urbanization has divided people and wrecked nature,” says Prerna Bindra, author of The Vanishing: India’s Wildlife Crisis, a new analysis of the effect of urbanization and economic growth on India’s rich wildlife. “In 20 years the area covered by Indian cities has expanded by a whopping 250 percent … and in the next 15, over 300 million people will be crowding urban India,” Bindra says. “Wetlands, lakes, green spaces are giving way to glass and concrete. The retreat of natural habitats has meant the rapid decline of urban wildlife, even the once ubiquitous: house sparrows or bullfrogs and common toads that serenaded the monsoons; or jackals, once not a very uncommon sight on urban fringes.” Wildlife sanctuaries and national parks are being decimated to make way for roads, housing and industry. In the past 30 years numerous citizen groups and nongovernmental organizations have been established to promote more sustainable development, including improving solid waste management policy, advancing mass transit and promoting urban green spaces. India’s dash for urbanization is lifting people from poverty, but the toll on forests, wetlands and the natural world is vast. Pierre Sass moved to Kinshasa in the 1990s. Like thousands of young men, he came looking for work, rented an overcrowded room on the edge of the city and, four years later, bought his own plot of land. Today, the edge of the city is 3 miles (5 kilometers) away and he has built his own two-room house for himself, his wife and three children. He has electricity but no water or sewerage. Kinshasa had around 20,000 people in 1920. By 1940 it was home to about 450,000 people. Today it has possibly 12 million and is predicted to be in the neighborhood of 50 million by 2075. A sprawling megalopolis, it’s ringed by vast shantytowns of informal settlements. By 2100, about 40 percent of all humans and nearly half of all children in the world will be African, heralding one of the fastest and most radical demographic changes in history. The continent’s population is now roughly 1.2 billion but will soar to more than 4 billion by 2100. Tan Huang is 24 years old and bewildered. After years living away from Guiyang, she returned last year from Germany to the formerly small provincial capital to find it had become China’s fastest-growing city and completely unrecognizable. The fields her grandparents worked, once over 5 miles (8 kilometers) from the small city center, are now covered with closely packed high-rise housing estates and office towers. Her family members live on the eighth floor of a block of apartments in a new zone. They look over shopping malls and ring roads. 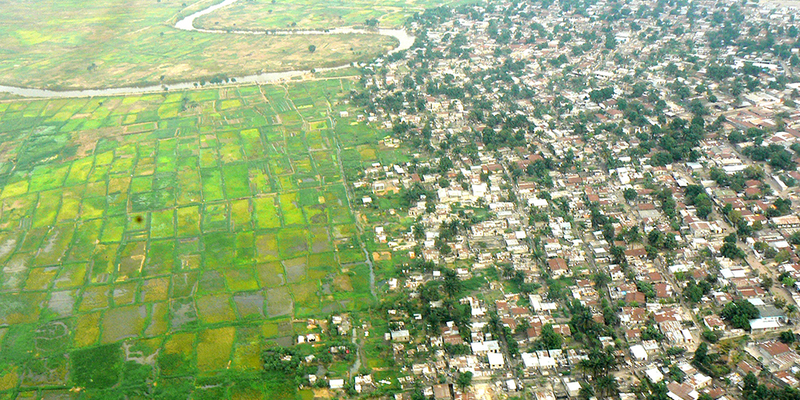 Former slums have been razed, farmland converted, rivers diverted and forests felled. “Even the hills look different. I was really shocked. The city stretches so far. It is like a new world where I know no one and nothing,” she says. The scale and speed of China’s shift to cities is shocking — possibly the fastest and largest migration of a human population in history. In just 30 years, nearly 500 million people have moved from rural areas into China’s 622 main cities, and a predominantly rural country has become nearly 60 percent urban. 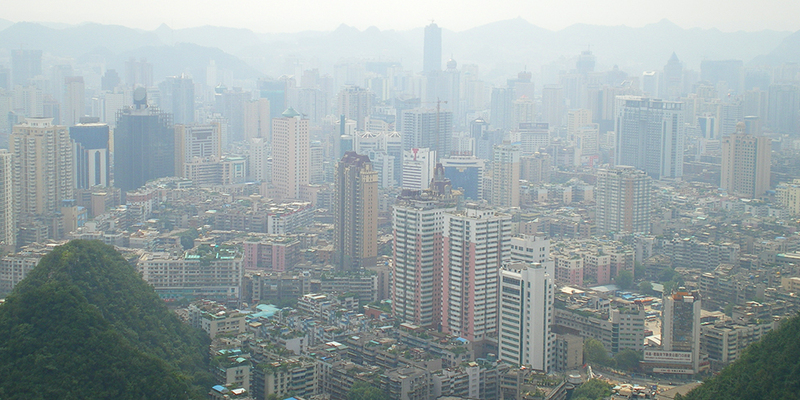 By 2030, over 1 billion Chinese — two in three people — will live in cities. Guiyang has few slums and little sprawl, and its growth has been ordered. But urbanization has been an ecological disaster that will take generations to rectify. In the early days, pollution turned the Nanming River black and stinking. Air pollution was allowed to continue unchecked, carbon dioxide emissions rocketed from coal-fired industry, forests were felled and soil was contaminated on a massive scale. Today the city is still growing at breakneck speed, but authorities are trying to rectify mistakes. It has worked to clean up the Nanming River and has implemented numerous measures to reduce air pollution. The environmental impact of China’s breakneck urbanization extends beyond the country’s borders, devastating vast areas of Africa and Latin America. The environmental impact of China’s breakneck urbanization extends beyond the country’s borders, devastating vast areas of Africa and Latin America where China turned for the raw materials for its industrial revolution. China is now by far the world’s largest consumer of cement, metal ores, industrial minerals, fossil fuels and biomass. It consumes nearly half the world’s coal and a third of its oil and minerals. The result has been severe forest loss and pollution in countries from Gabon to Tanzania and Ecuador. By 2025 China expects to have over 220 cities with a population of at least 1 million. Small cities are merging and megacities like Shanghai and Beijing, which have exploded to over 20 million people each in a few decades, will not be allowed to grow further. Both have plans to cap their size by 2020. Meanwhile, President Xi Jinping intends to build one of the largest new cities on Earth. Xiongan New Area, 60 miles south of Beijing, is expected to eventually house many millions of people and be roughly three times the size of New York City. According to the Chinese government it will “curb urban sprawl and protect ecology” as China’s population grows. It is, say the authorities, going to be a “smart city,” run entirely on renewable energy with its people connected, its air relatively free from industrial pollution and its transport close to all-electric. 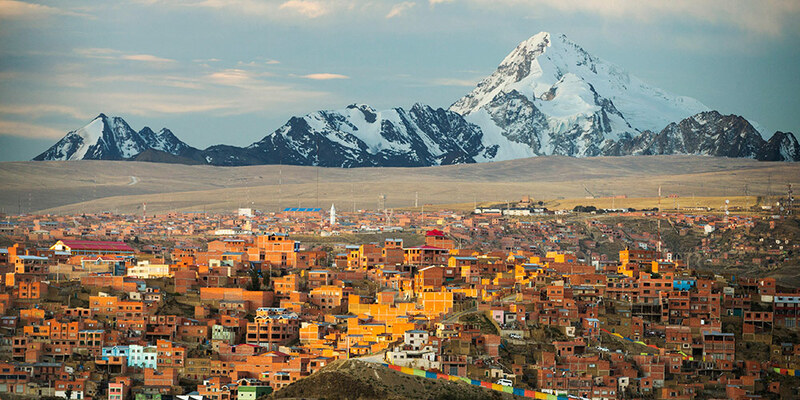 Poor El Alto is a satellite city overlooking rich La Paz from the high altiplano. In 1952 it was little more than a village. In 1960 it had fewer than 30,000 people. Now it has exploded into a metropolis with close to 1 million or more people living in the rarified air 4,100 meters (13,600 feet) above sea level. Hundreds of thousands of people, including Mario Mamani, have flooded in over the last decade. Mamani and his family came from Pinaya village high in the Andes, below the great snowcapped Illimani mountain nearly 10 years ago. He wanted work, and frequent droughts, erratic rainfall, heat waves, unseasonal frosts and floods had made conditions too hard to grow crops. El Alto is a city in progress, he says, starting to prosper as industry and its economy develop. It is also a model of how to build from scratch in a bleak environment with few resources. Latin America is now the world’s most urbanized continent with 80 percent of people living in towns and cities. And El Alto has already outgrown La Paz itself. “Mexico, Brazil, Argentina and Uruguay led the urbanization of Latin America. But we are still trying to understand the implications of its effect on the environment,” says urban researcher Fernando Aragón -Durand, a lead author for the IPCC special report on meeting the United Nations’ 1.5°C temperature target. According to Aragón-Durand, cities not only bring people face to face with the brunt of the impacts of climate change, they also contribute to it. Priscilla Connolly, professor of urban sociology at the Universidad Autónoma Metropolitana, has lived in Mexico City since the 1970s. In that time, she has seen it triple in size into one of the world’s five largest cities. The city is still vastly overcrowded, massively polluted and predominantly poor. That said, it shows that rapid change can be controlled, and that urbanization has its benefits. Fast-growing cities in Africa and Asia could learn from Mexico City’s mistakes. They cannot just be designed around the car but must take account of a changing climate, flooding and air pollution, Connolly says. 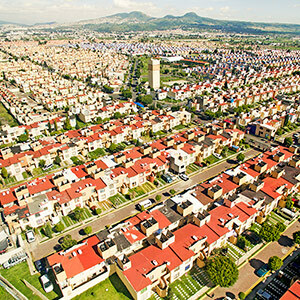 The shantytowns and informal settlements that ringed Mexico City in the 1970s are now being upgraded. However, environmental issues are still not high on the agenda, and the city has a semipermanent water crisis as a growing population depletes aquifers, a sinking surface alters the city’s capacity to move water, and climate change drives freshwater supply down and demand up. European cities are some of the world’s richest, and most are expected to barely grow or even shrink over the next 50 years. Declining birth rates, aging populations and good infrastructure allow many to now focus on the environment. But they are some of the world’s biggest consumers of energy and resources and producers of emissions. This, says Copenhagen lord mayor Frank Jensen, imposes on them an ethical duty to change. Jensen’s plan is to make Copenhagen even greener, more livable and more bicycle-friendly. “This would mean building even more bicycle lanes and new bridges to make even more Copenhageners choose the bike over the car,” he says. Jensen thinks city governments are more adaptable and quicker to act than higher levels of government. He envisages them exchanging ideas and initiatives with clusters like C40 Cities, an international forum for mayors to meet and develop new ideas to solve environmental problems. Believe the graphics and the spreadsheets, and Kigali, the capital of Rwanda, will by 2040 be a cross between Singapore and Dallas. The city master plan, drawn up by Asian and Australian architects in 2013, suggests its many slums will be cleared, new financial and university districts will be built and there will be a new airport, ring roads, gleaming high-rise towers, urban farms, pleasant parks and good housing for hundreds of thousands of people. Four years on, the plan is still a fantasy. The international investors have failed largely to come to the world’s 20th poorest country. The roads and public transport are not built. There are persistent water shortages, power cuts and gridlock. People are being evicted from city center markets and slums to make room for development, but Kigali is still a desperately poor capital city. The idea of investing heavily in ambitious makeovers has attracted many African governments. Accra, Lagos, Kinshasa, Entebbe, Nairobi and a dozen other sub-Saharan African cities all have plans to attract their rich and middle classes to shiny new satellite cities and districts. “Sub-Saharan Africa’s population could well double in 50 years,” says Vanessa Watson, professor of city and regional planning at the University of Cape Town University in South Africa and a lead consultant for U.N. Habitat’s Planning Sustainable Cities: Global Report on Human Settlements 2009. It’s the smaller cities rather than the biggest which are growing fastest.” Watson fears that state spending on infrastructure for African cities is being skewed toward ambitious new developments and satellite cities for the middle class. “Many African cities are coming together, spreading outwards. There’s nothing to stop them growing. People who want a foothold in the city just come to the peripheries,” she says. Watson fears that state spending on infrastructure for African cities is being skewed toward ambitious new developments and satellite cities for the middle class as proposed by international developers rather than going to poorer areas where people are being evicted from well-located inner city areas. Projections for African cities suggest they will explode. Sixty percent of Africans are under age 24, and hundreds of smaller cities are seeing population growth of 3.5 percent a year or more, doubling in size about every 20 years. Humanity is now an urban species. The slow drift from rural areas to U.S. and European cities in the 18th and 19th century has become an unprecedented worldwide tsunami. Western cities took the world to the brink of ecological disaster as they grew by paying little heed to pollution, waste and climate emissions. Now, developing countries must avoid their mistakes and find better ways to make the urban transition. It will be the biggest task they may ever face. Indeed, what happens to them will ultimately determine the global environment and the quality of life of most of the world’s projected 11 billion people. Many are already investing in clean transport and water, sewage, renewable energy, planning, well-being and good housing for all. Others face what seem like insurmountable problems and will need help and leadership. In closing their report, the Canadian researchers issue a call to begin planning and developing skills to manage megacities. “Efforts to improve city governance and urban management are urgently needed, especially in regions where current levels of service provision are already poor, yet cities are expected to grow markedly,” they write. Get urbanization right, and there is real hope that climate change can be controlled and people’s health improved. But get future cities wrong, and the consequences will be a diminished, polluted world for everyone. The choices made today will determine whether cities are ultimately the problem — or the solution.